Lucie Jones might be the strongest Eurovision contender for the U.K. in decades, but the rest of Europe might take out their Brexit frustrations on her and vote away her chances. The United Kingdom has been in a 20-year slump at the Eurovision Song Contest, but they might just have a chance of finally winning again this year. Since 2003, the U.K. has come in last place three times at the annual Europe-wide song contest, including one year in which they earned zero points. Their most recent win was in 1997, when Katrina and the Waves won with their song "Love Shine a Light." Welsh singer Lucie Jones is the U.K.'s star contestant this year, and journalist Bella Qvist is convinced that she has a shot at taking the top spot. "Earlier this week, when we saw the full performance from the rehearsals the first time, the betting odds for Lucy just shot through the roof," Qvist tells Day 6 host Brent Bambury. Betting markets currently give Jones 28-to-1 odds of winning, according to the Telegraph. While that's not as high as the 11-to-8 odds for Italy's competitor Francesco Gabbani - who is accompanied onstage by a man in a gorilla suit - it puts Jones in strong competitive footing. Jones is performing the song "Never Give Up on You," which Qvist calls "a fantastic song ... and what is better still is that the stage performance is fantastic." 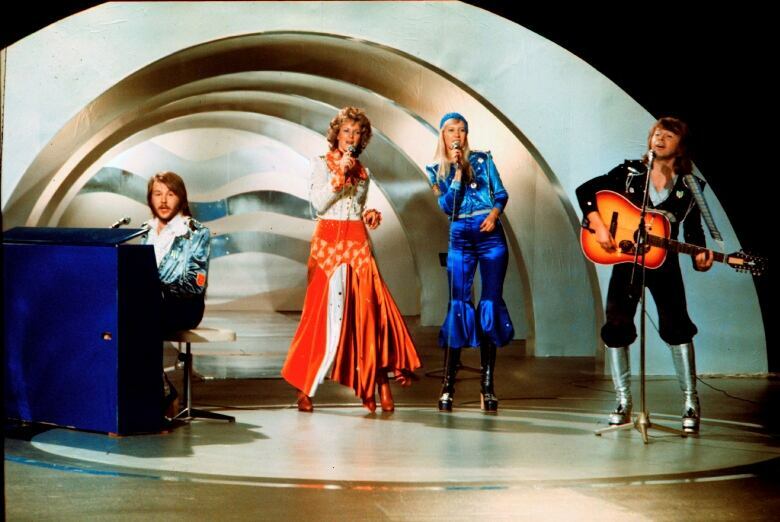 One of the best-known competitors in Eurovision history is Sweden's ABBA, who won the 1974 contest with the song "Waterloo." Qvist is Swedish, and she notes that despite the often absurd performances, the Swedes take Eurovision very seriously. She says it's the most-watched television program in Sweden. The Brits, by contrast, have been accused of treating the competition as a joke, beginning with the BBC's late Eurovision commentator, Terry Wogan. "Every year I go to see it, and every year I say: 'it's terrible! It's worse than last year'," he said on a late night show in 1997. Wogan's mocking tone and humorous approach to the contest left a lasting impression in the U.K, says Qvist. "He did popularize the contest in many ways, but he had this sort of scathing commentary that was going on throughout the TV show," she says. "It was very much sort of laughing at the acts a little bit, rather than taking them seriously." Despite her popularity at home, Jones might run into a barrier with this year's contest, as it's the first since the U.K. voted to leave the European Union. In the past, politics have had a backlash effect on Eurovision competitors. At the 2014 competition, the Russian competitor was booed following the country's annexation of Crimea. "If I go and worry about that stuff, there's no way I can do the best performance I can possibly do so I'm just trying to concentrate," Jones told BBC Newsbeat. Though Canada has never competed in the contest, a Canadian has won. Celine Dion competed on behalf of Switzerland with the song "Ne partez pas sans moi (Don't Leave Without Me)." Canadian fans of Eurovision can watch the competition online via a YouTube livestream. In the audio interview, there are three instances in which Brent Bambury refers to "England" when the reference should have been to "The United Kingdom." Day 6 regrets the error. Paula Hawkins' Into The Water: Should you read it?